The Swedish company, Volvo, is about to deliver its first entirely battery-powered truck to the streets of Hamburg, Germany. Designing an all-electric utility truck meant to carry heavy loads — whether from a construction site or simply garbage — is no simple feat. They have to charge in time for next deployment, work around tight schedules, and endure all kinds of difficult conditions, like severe weather and uneven ground. 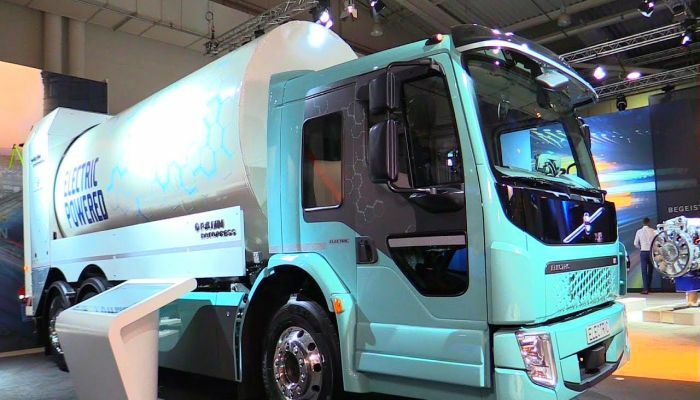 Volvo’s FE Electric truck can carry 10 to 15 tons, and will have a range of 200 kilometers. That stands in contrast to the Tesla’s planned Semi truck, which will have a payload of more than twice that, with a 500 mile range. But Tesla’s offerings have yet to roll out to customers — it’s hoping to do deliver at some point next year.